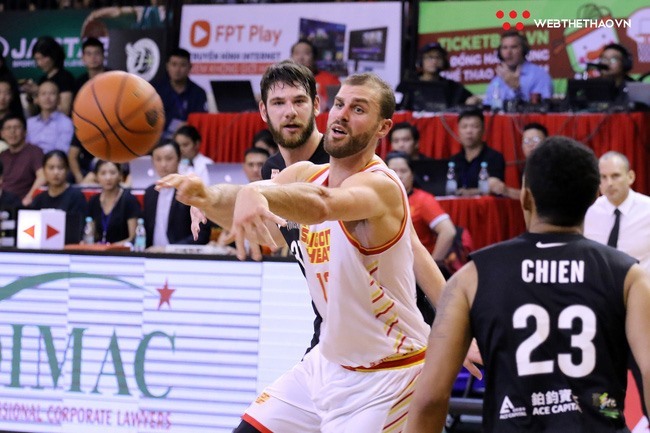 HCM City — Saigon Heat lost to Formosa Dreamers 85-86 at the ASEAN Basketball League (ABL) held at CIS Arena in HCM City yesterday. Taking full advantage of playing on their hometurf, the Heat took the lead 22-14 in the first quarter. With the shine of Chris Dierker, Justin Young, Murphy Burnatowski and Kyle Barone, the hosts continued to control the game. However, key player Trevon Hughes met an injury in the second period and was forced off. The visiting side took this chance to attack quickly and gained four points. However, Burnatowski hit some fine three-pointers to help the hosts win 39-31. After that, Burnatowski continued to start the third half with a three-point shot for the Heat. The Dreamers then quickly bounced back to lead 57-50. In the last quarter, Burnatowski proved his power with nine points in a row to narrow the gap to two points. Young and Corey Cilia continued to make fans jump for joy with three-point throws to end the official time in a draw of 74-74.